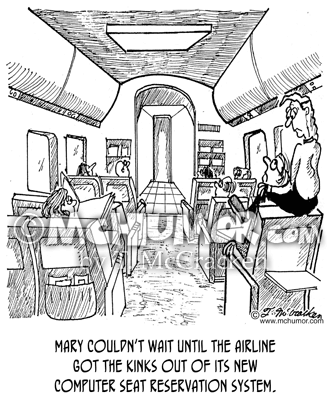 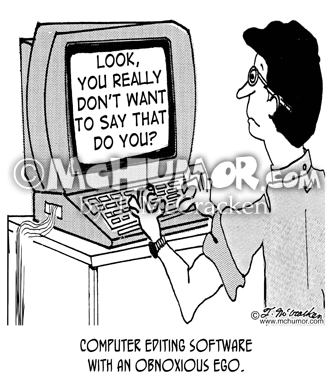 Bank Cartoon 1348: A banker says to a loan applicant, "I'm sorry, but the computer rejected your sob story." 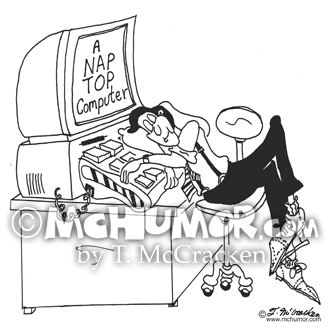 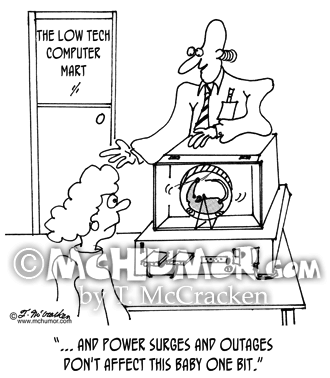 Computer Cartoon 5884: "The Nap Top Computer." 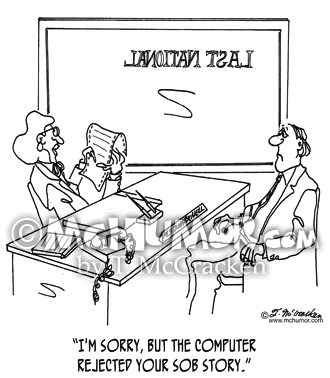 A man snoozes at his desk with his head resting on his computer keyboard that is shaped like a pillow. 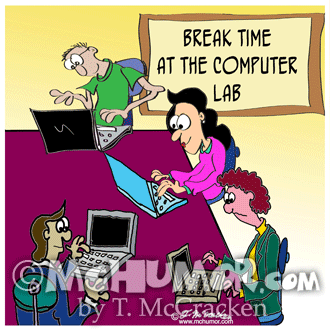 Computer Cartoon 8987: A bunch of people work at lap tops at "Break Time at the Computer Lab." 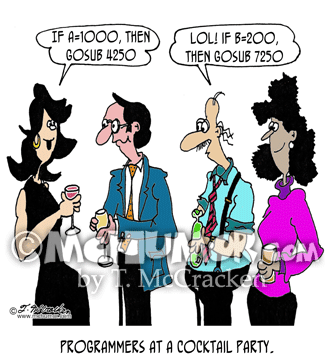 Computer Cartoon 5873: "Programmers at a cocktail party." 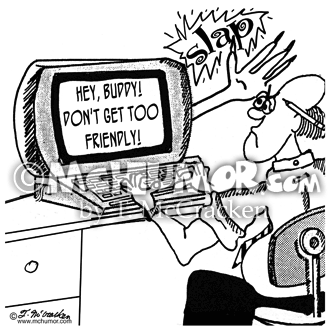 Conversation tidbits include, "If A-1000, then go sub 425," and "LOL. 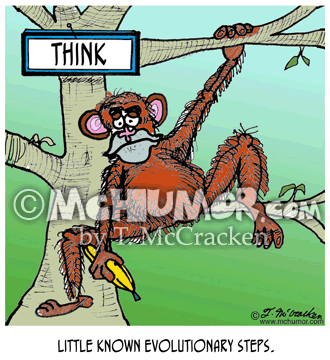 If B=200, then gosub 7520." 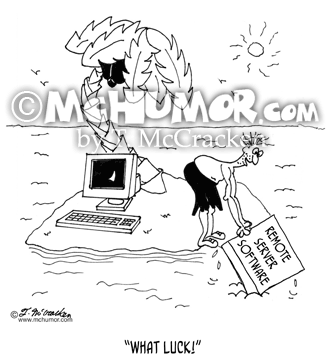 Computer Cartoon 7153: Someone on a desert isle with an old computer, upon seeing a box containing, “Remote Server Software,” floating by cries, "What luck!"